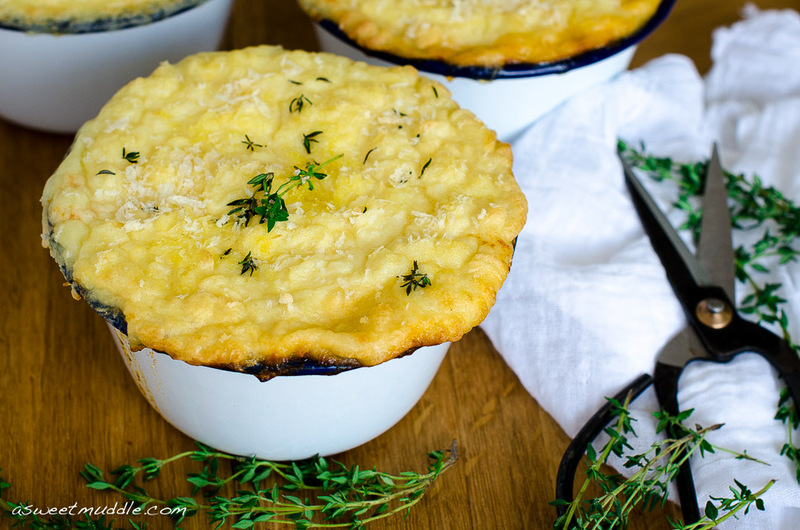 Sometimes there’s nothing more comforting than a good, hearty pie. And today is one of those days when I wish I was tucking into one of these gorgeous mini cottage pies for dinner… perhaps with a nice drop of red to help wash it down! It’s a couple of months ago now since I cooked these pretty pies and I’m so glad to be finally sharing them with you. I think they’re a great dish to make when you find yourself a little time constrained. 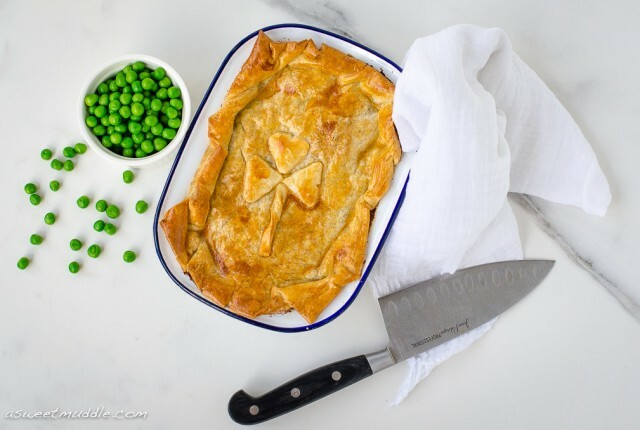 All in all the pies take about an hour to make, BUT that includes half an hour in the oven before you serve, which buys you time to get on with other things while they cook! Since I’m finding myself a little time constrained of late, it’s the perfect time to give these mini cottage pies another try. If you find yourself facing similar challenges, it might be a good time for you to whip some up as well. The recipe I used is Manu FeildelI’s take on this classic, which I came across when it featured on the cover for the March edition of Taste magazine. I haven’t included a recipe card today because I didn’t make any modifications to the original recipe. 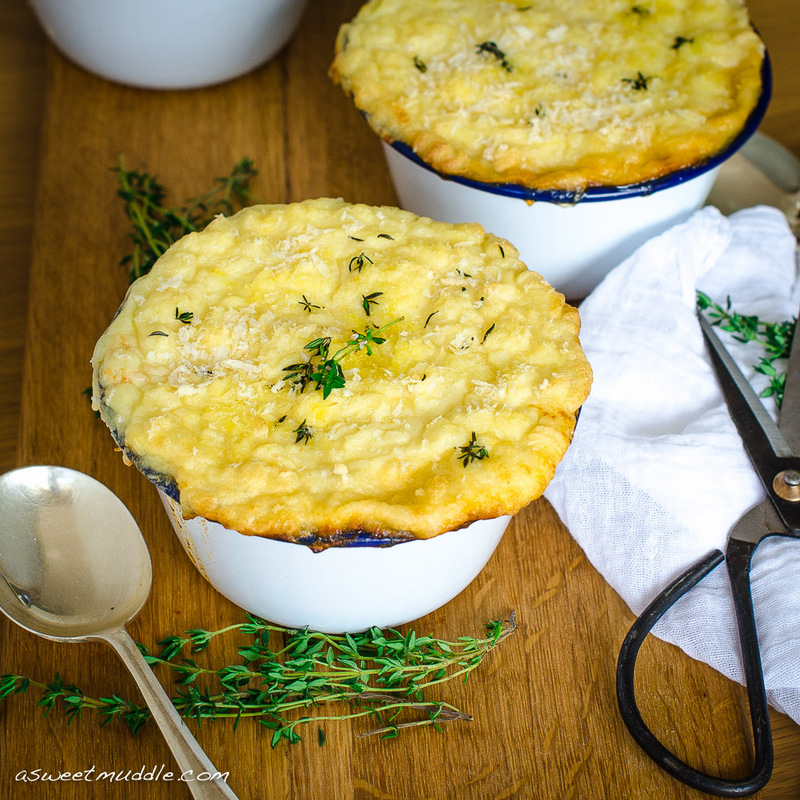 While Taste magazine hasn’t published the recipe on their website, I managed to track it down on the website for a brand which Feidell endorses, so if you now fancy trying your hand at an old fashioned cottage pie, you can find the recipe here. The only tweak I made to the recipe on this link is to divide the pie mix into mini pie pots rather than the 2 litre dish it suggests. This works really well when you’re unlikely to serve / eat it all in one sitting! My only caution is to not make the same rookie mistake I did on my first attempt at these… don’t add the milk to the mash potato all at once! I did, and I found that it could have done with a little less, so instead of being nice and fluffy, my mash was a little runny. 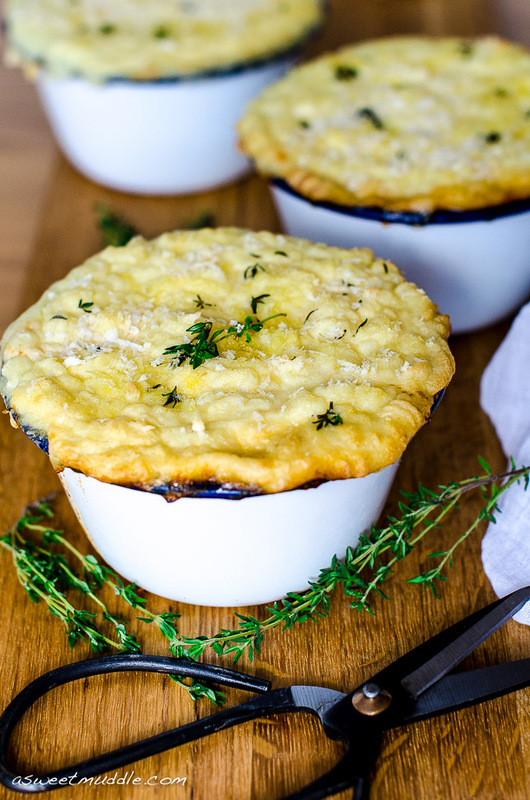 These cottage pies look delicious! Thanks Carrie, they turned out really well, despite the somewhat soggy mash! Thanks Medeja! They’re pretty tasty. I have to say I love the look of your strawberry frozen yoghurt! I’m going to have to hold off on trying that until the weather warms up bit here! Nice pictures, yummy cottage pie. Thanks Amallia for stopping by and saying hi 🙂 So glad you like the pies.